Purple anarkali suit featuring in cotton silk jacquard. Yoke and sleeve are in beige chantilly lace. 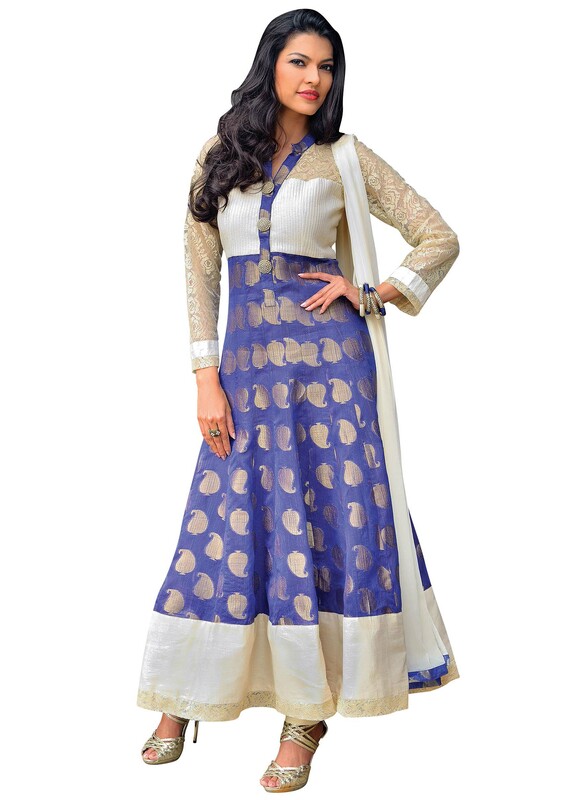 It comes with beige cotton silk churidar and dupatta in cream chiffon.